Access this center for spine resources including procedure guides, studies and patient awareness tools. The Think Interventional Spine custom training course delivers on-demand, local training that meets hospital credentialing requirements. Courses can be tailored to the needs of the staff and will employ use of the imaging equipment onsite. The course is designed for experienced Interventional Radiologists, Neurointerventional Radiologists, Interventional Oncologists, Neurosurgeons, Orthopedic Spine Surgeons and Interventional Pain Management Physicians who have had prior training in spine procedures during residency and/or fellowship, and are interested in further training on vertebral augmentation for vertebral compression fractures and radiofrequency ablation of spinal tumors. Courses are limited in size to preserve the quality of the hands-on experience. To be added to the list of interest for any of the below programs, please select a date and a Merit Medical representative will contact you to discuss course availability. Don’t see a date that meets your needs? We may be able to help place you in another opportunity. 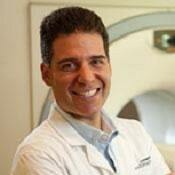 Dr. Brower is an interventional radiologist whose main area of focus is interventional oncology. 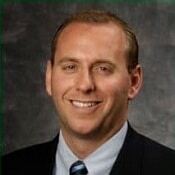 He is currently president of Inland Imaging in Spokane, WA, and practices at Providence Sacred Heart Hospital. He has served as faculty for multiple physician education programs focused on vertebral augmentation and spine ablation. Dr. Brower was an early adopter of spine ablation technology, utilizing the STAR Tumor Ablation System. He was a principal investigator and co-authored the first prospective clinical study to evaluate the STAR Tumor Ablation System entitled “Multicenter Prospective Clinical Series Evaluating RFA in the Treatment of Painful Spine Metastases.” He has been voted to Spokane’s “Best Doctor” list consecutively since 2010 and developed a successful, fully-integrated, liver-directed program. Shelley is board-certified in vascular and interventional radiology. He is highly trained in performing complex procedures, such as uterine fibroid embolization, endovascular aortic stent grafts, RFA, DVT thrombolysis, kyphoplasty, and other interventional radiology procedures. He is a member of the Society of Interventional Radiology, Western Angiographic and Interventional Society, Cardiovascular and Interventional Radiological Society of Europe, and Outpatient Endovascular and Interventional Society. Dr. Shelley practices in Blackfoot, Idaho Falls, Pocatello, and Soda Springs, ID. Dr. Beall attended medical school at Georgetown University School of Medicine in Washington, DC and completed his residency at The Johns Hopkins Hospital in Baltimore, Maryland. Following completion of his residency, he was Chief of Interventional Services at Sheppard Air Force Base in Wichita Falls, Texas. He then completed a fellowship in musculoskeletal radiology at Mayo Clinic in Rochester, Minnesota, where he was trained in interventional spine techniques before returning to the US Air Force as Division Chief of Musculoskeletal Radiology. 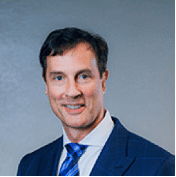 In addition to his expertise in musculoskeletal imaging and interventional spine care, Dr. Beall is a diplomate of the American Academy of Pain Management and is actively involved in teaching and research. 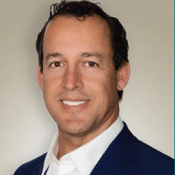 He is board-certified in diagnostic radiology, has an added fellowship in musculoskeletal radiology, and is in private practice focused on interventional musculoskeletal radiology. Dr. Beall has published more than 200 articles in peer-reviewed journals, authored three textbooks and 11 textbook chapters, and given more than 200 invited lectures and scientific presentations. He is currently the Chief of Radiology Services for Clinical Radiology of Oklahoma as well as Director of Fellowship Programs.